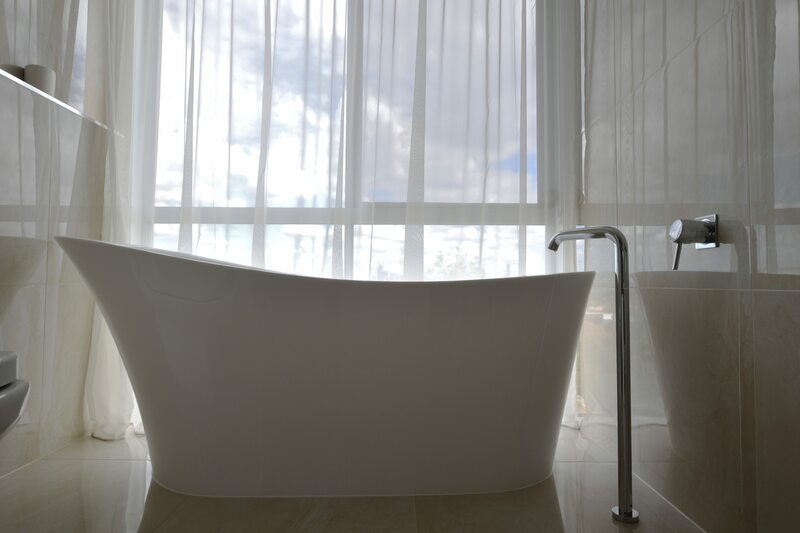 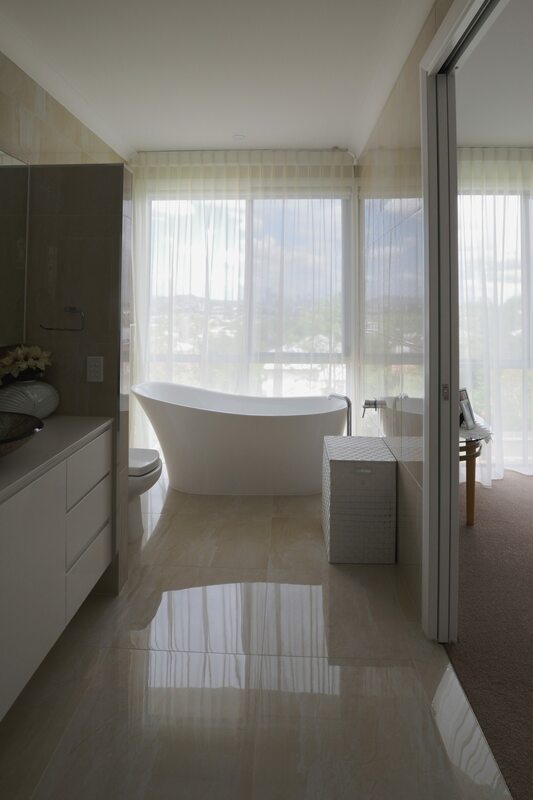 Sheer installed into ceiling as a back drop to a bath. 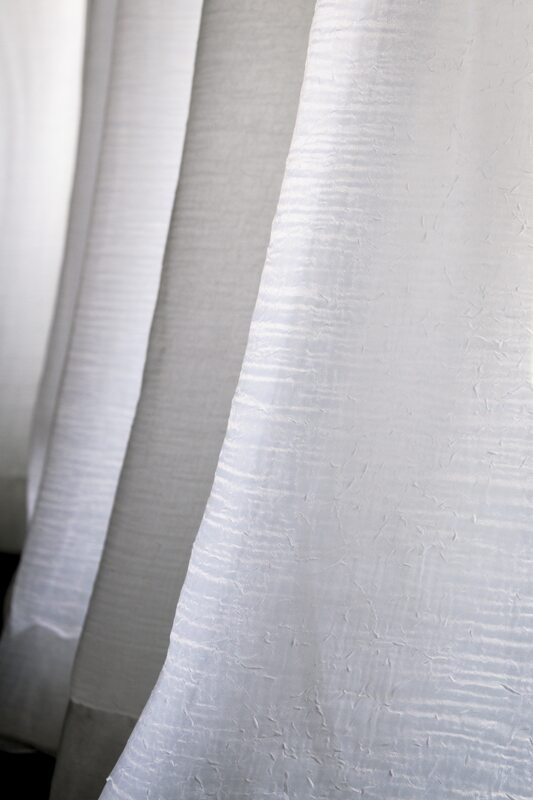 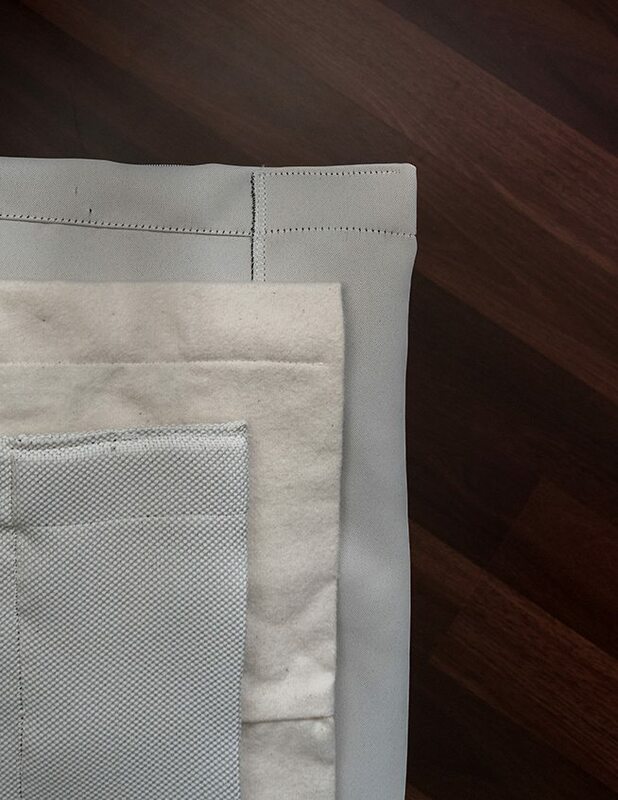 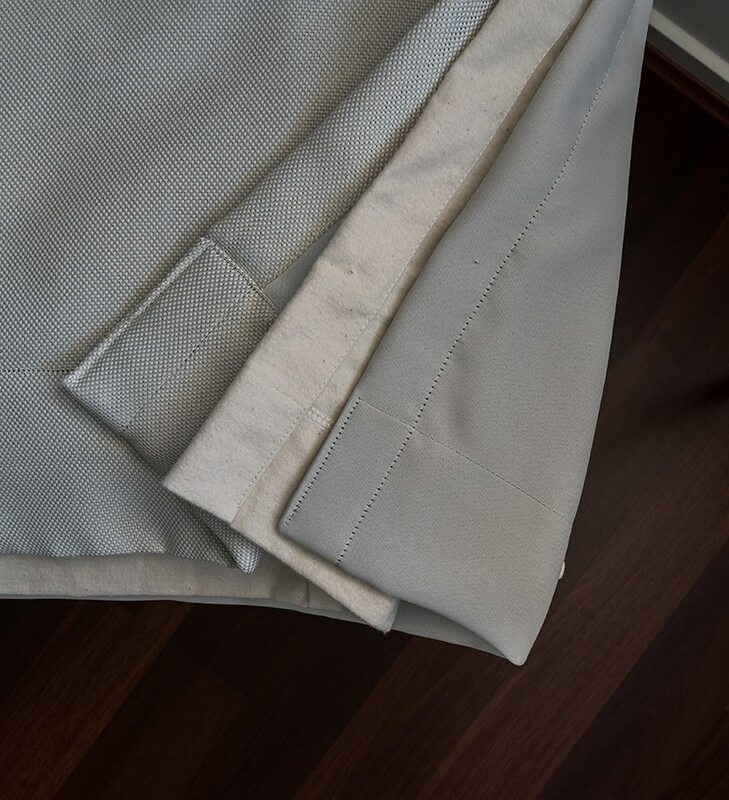 Triple pinch pleat sheer with a block out lining behind. 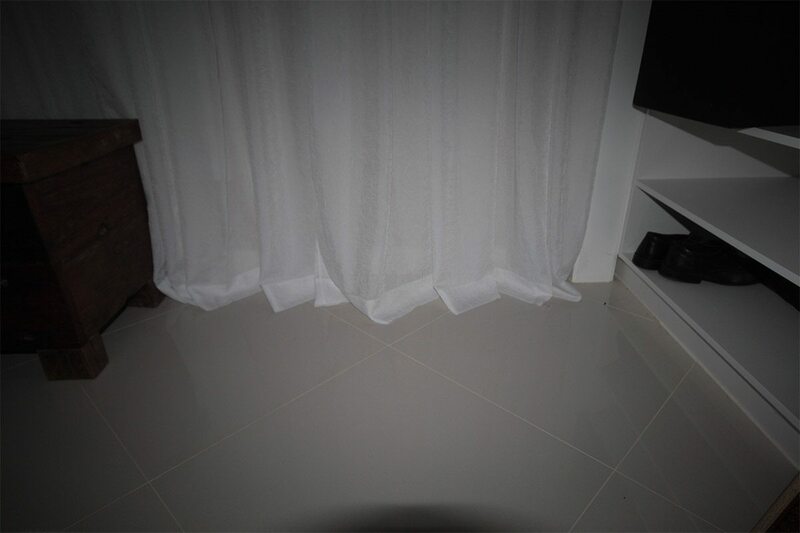 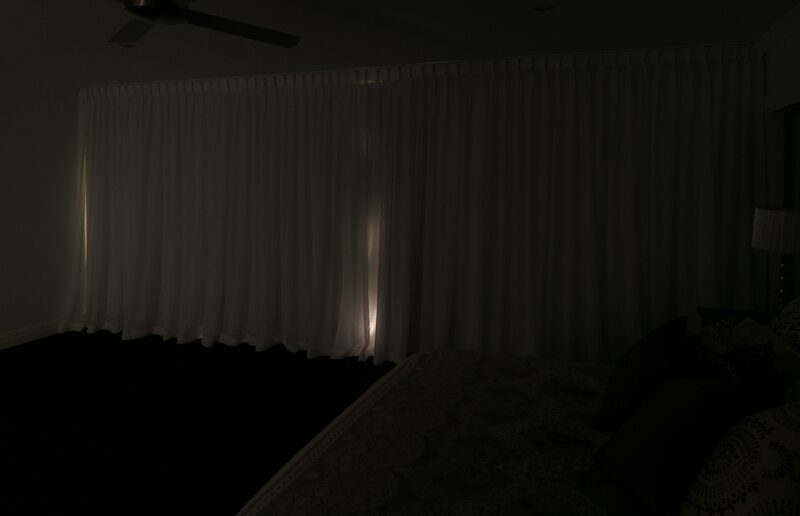 This gives an amazing light cover for sleeping. 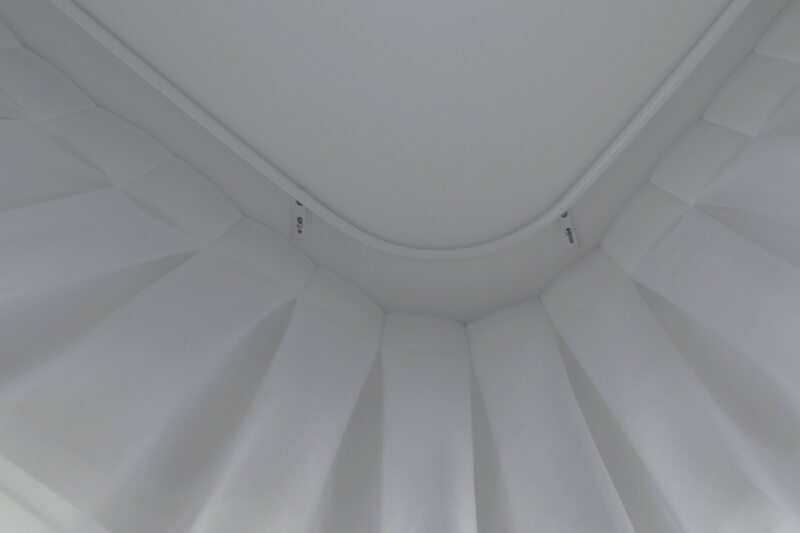 Triple pinch pleat sheer installed into ceiling with 50mm flooding with a lead weight sewn in. 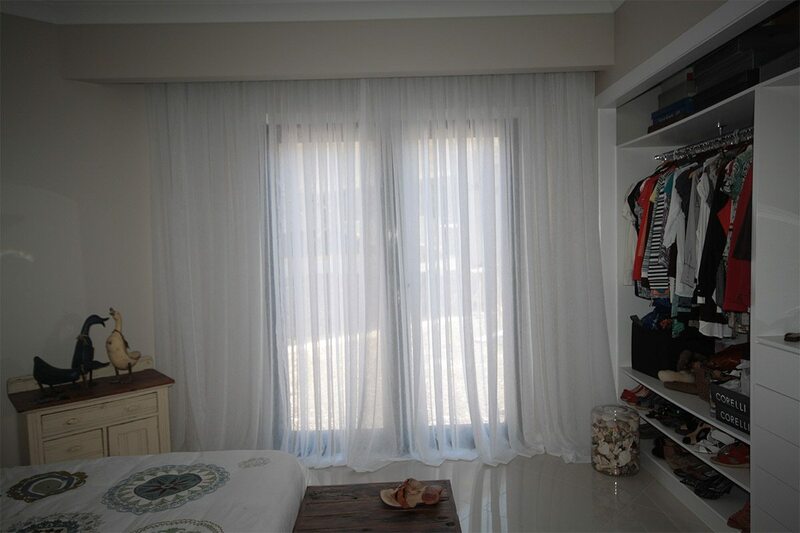 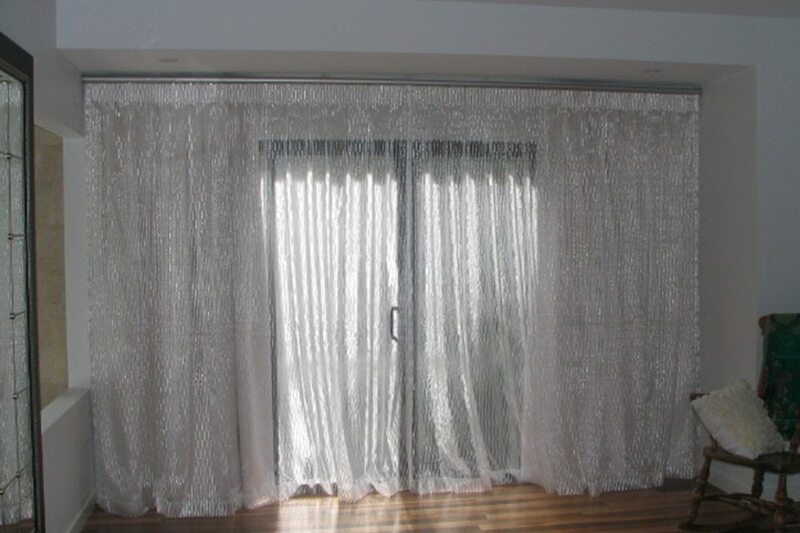 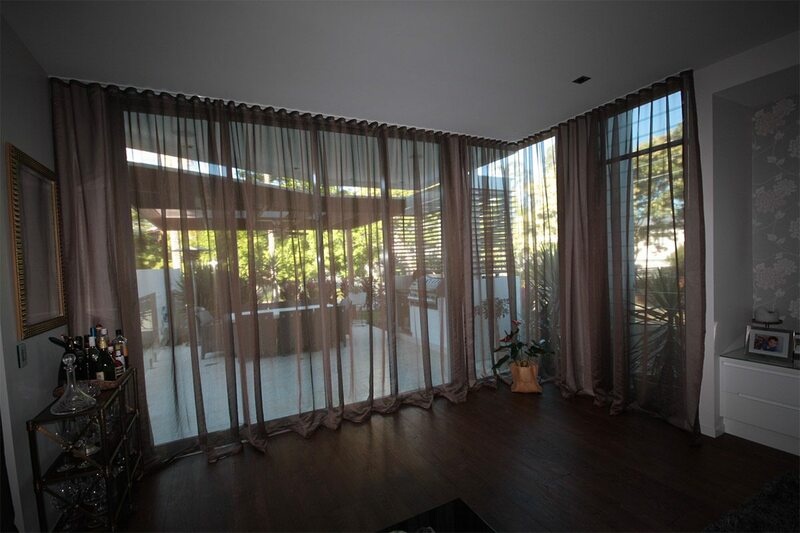 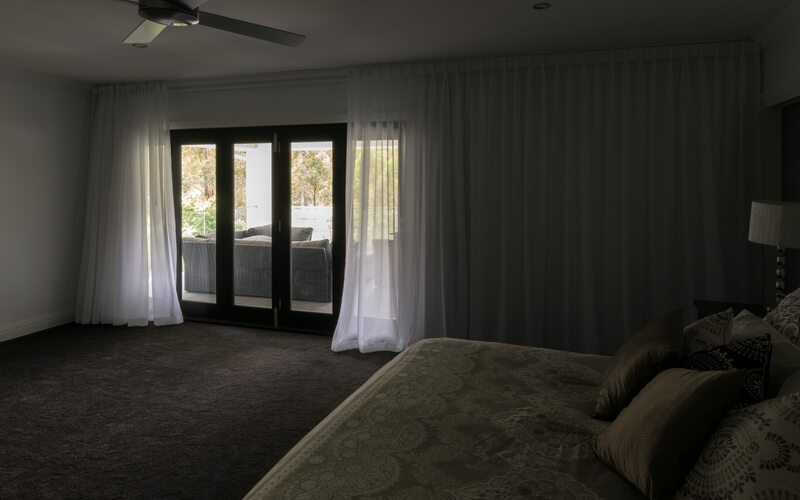 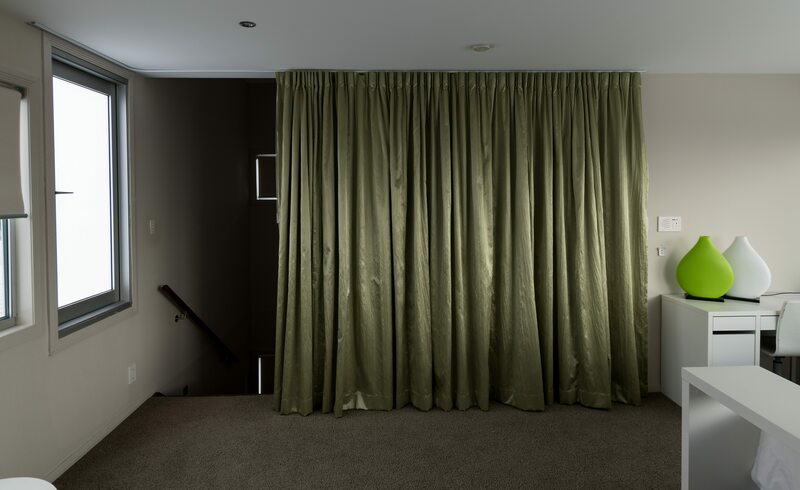 Contemporary sheer curtain with flooding, roller blind and shutter combination. 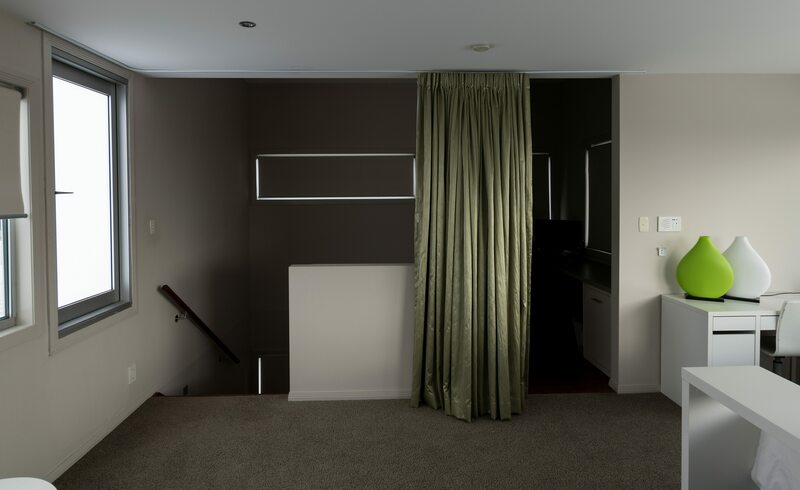 This install meets all practical needs with design and ambiance. 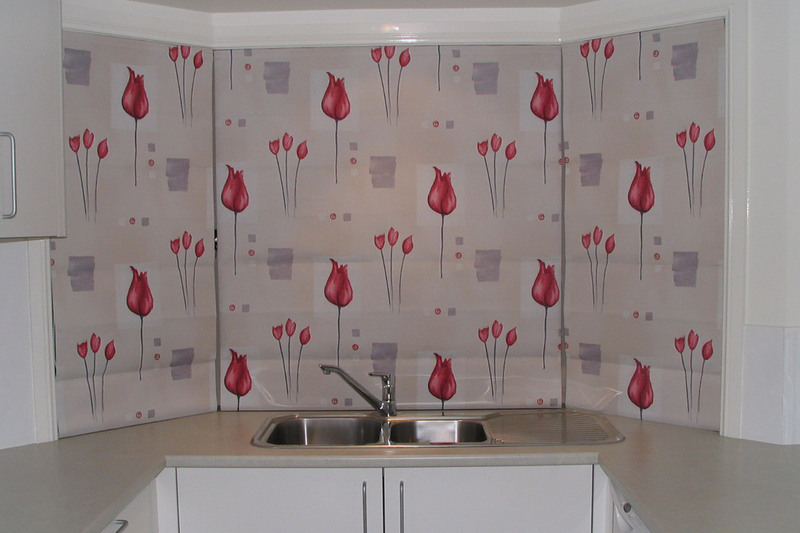 Contemporary sheer in a recessed ceiling with 150 mm flooding, installed wall to wall. 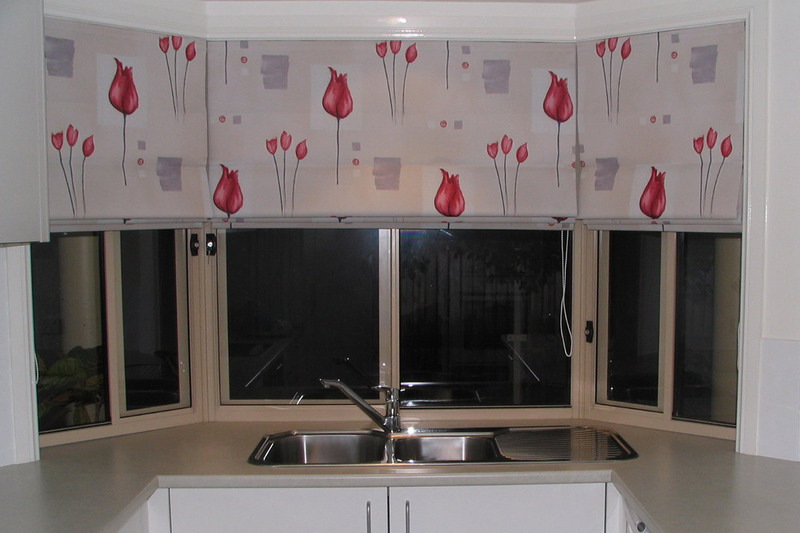 Corner window with a contemporary S Fold clear sheer. 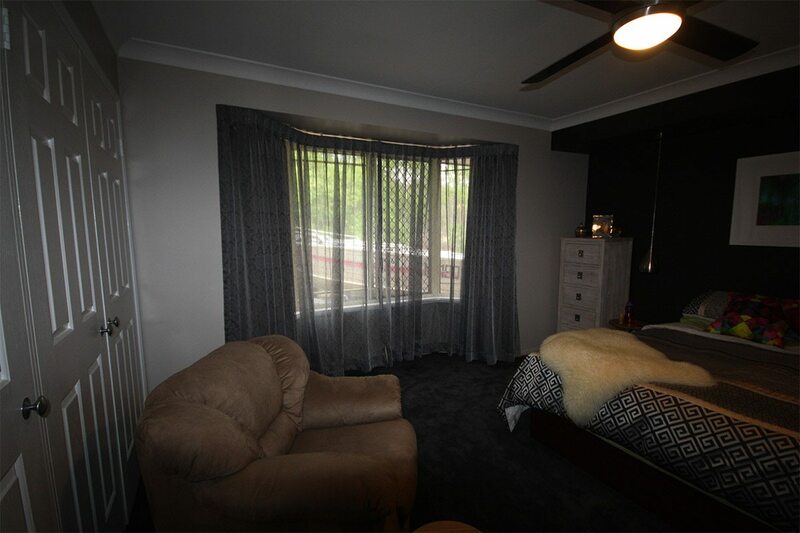 There is 50 mm flooding. 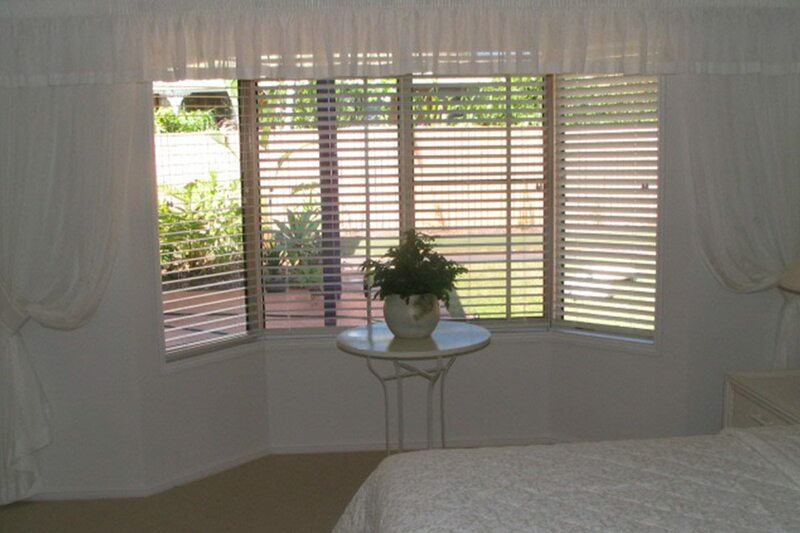 This is a bay window, with a shaped upholstered pelmet with a contrast cord trim. 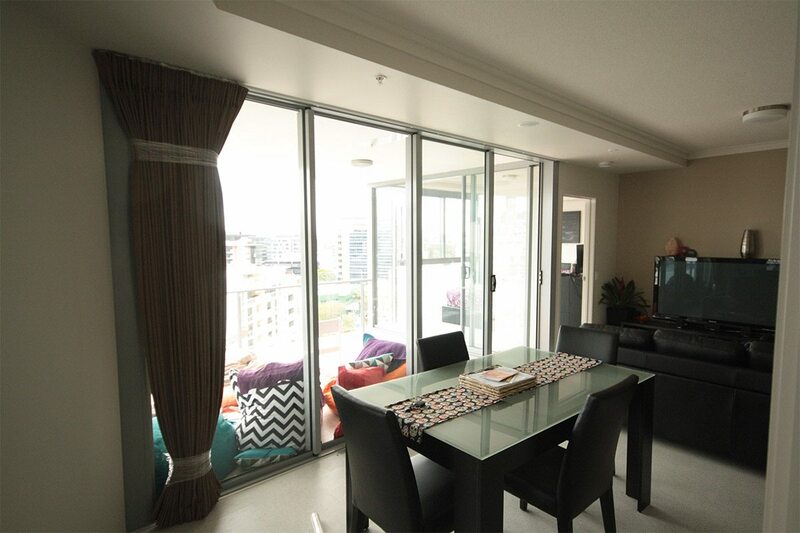 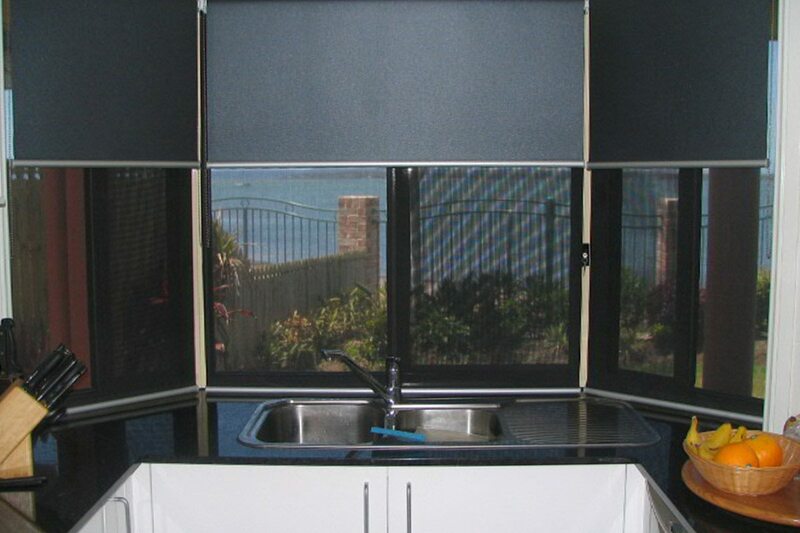 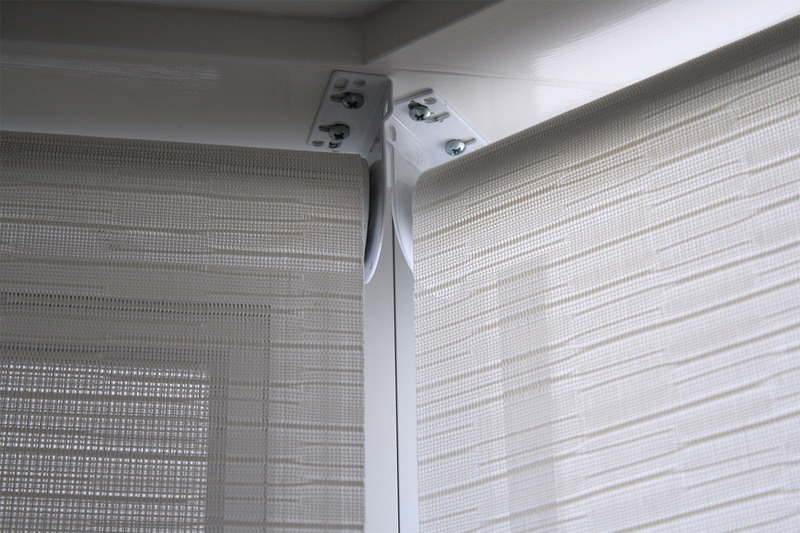 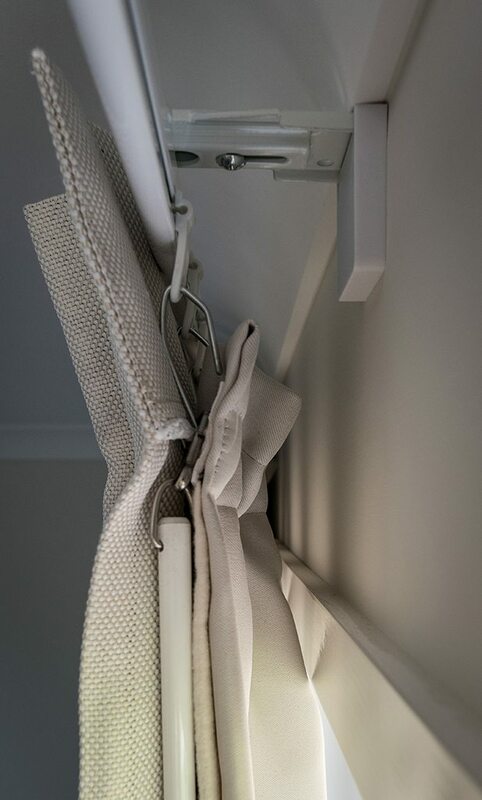 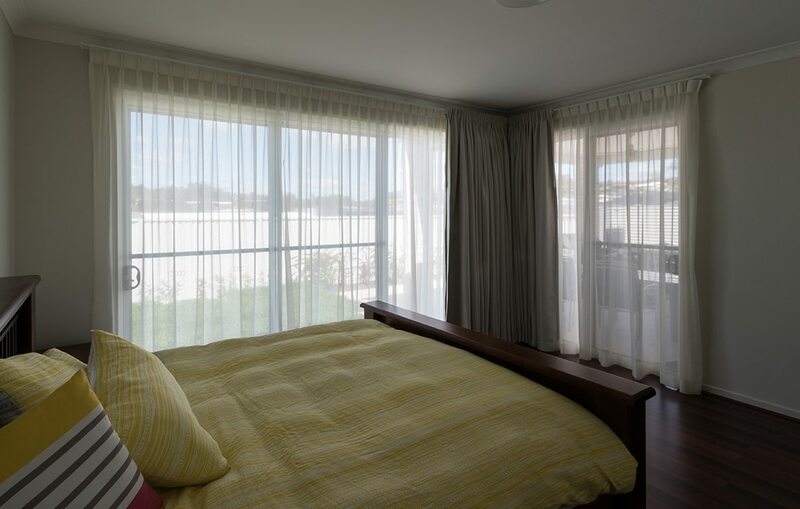 There are sun control roller blinds installed into the recess of the pelmet. 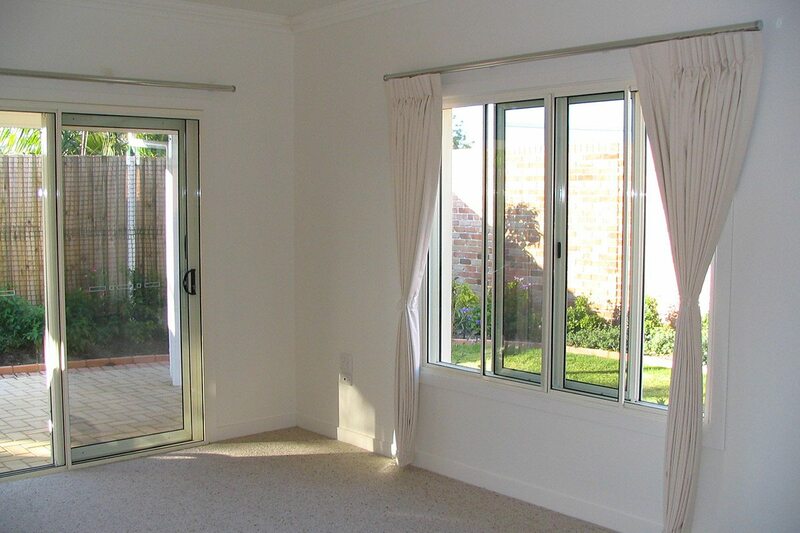 Bay window with double tracks. 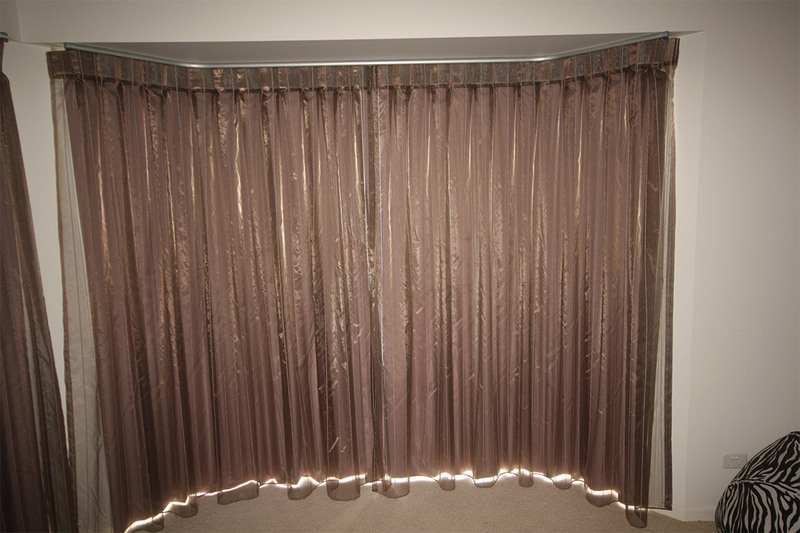 This is a pencil pleat sheer behind a double pinch pleat curtain with a matching Roman blind installed on the window beside. 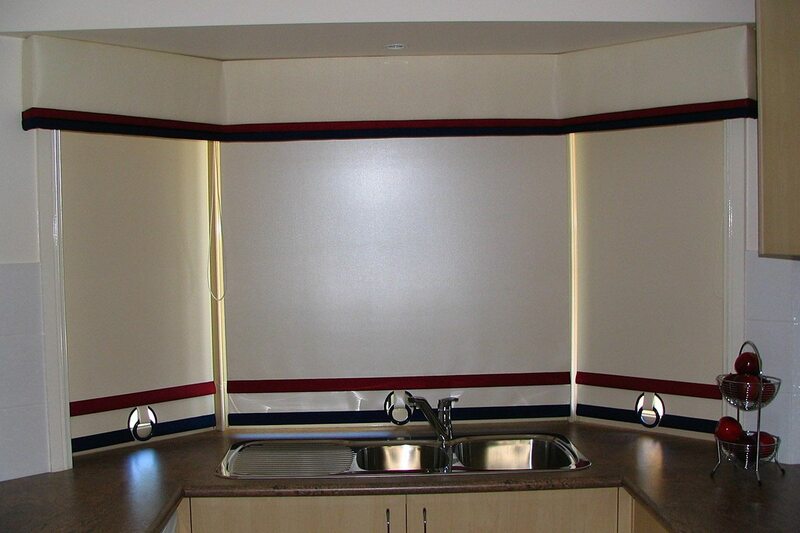 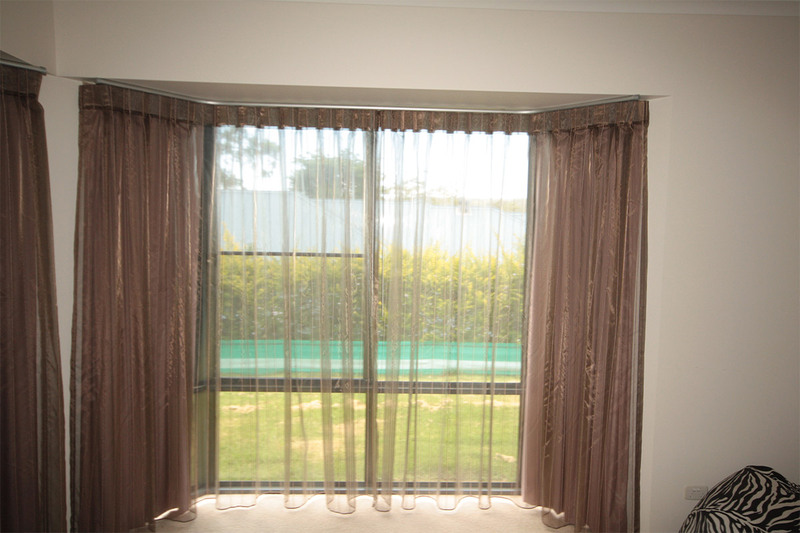 This is a straight self piped pelmet made from a print fabric. 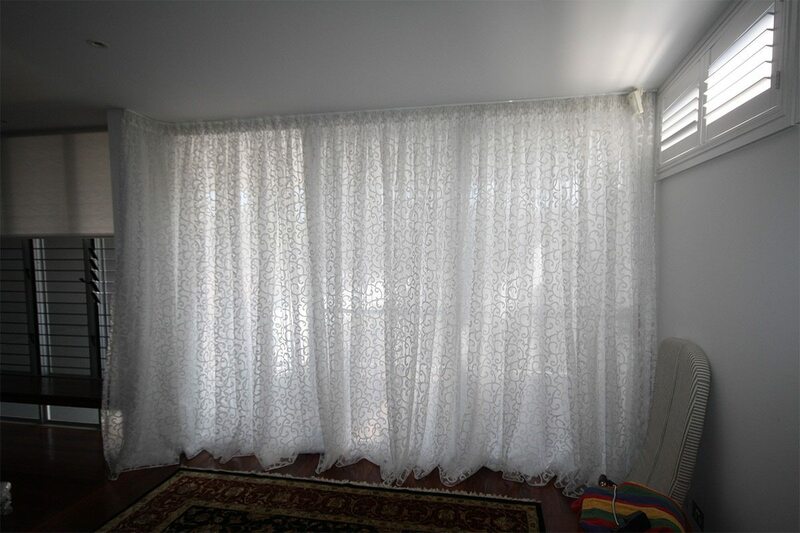 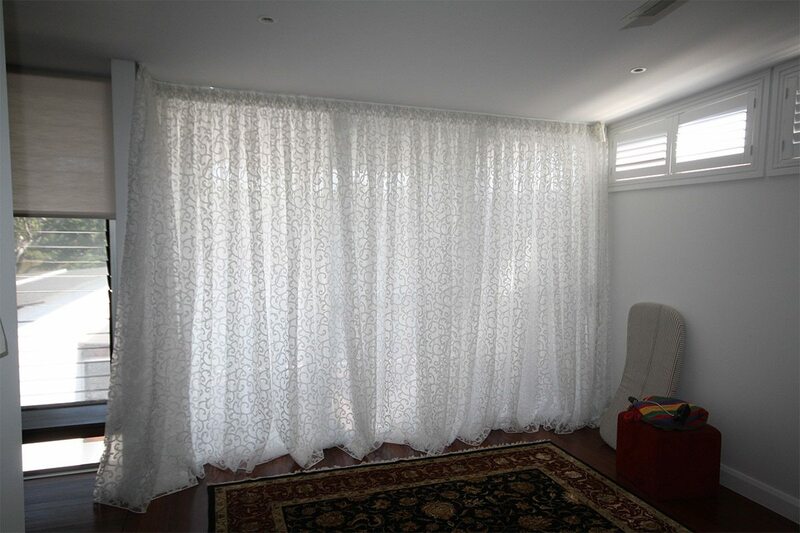 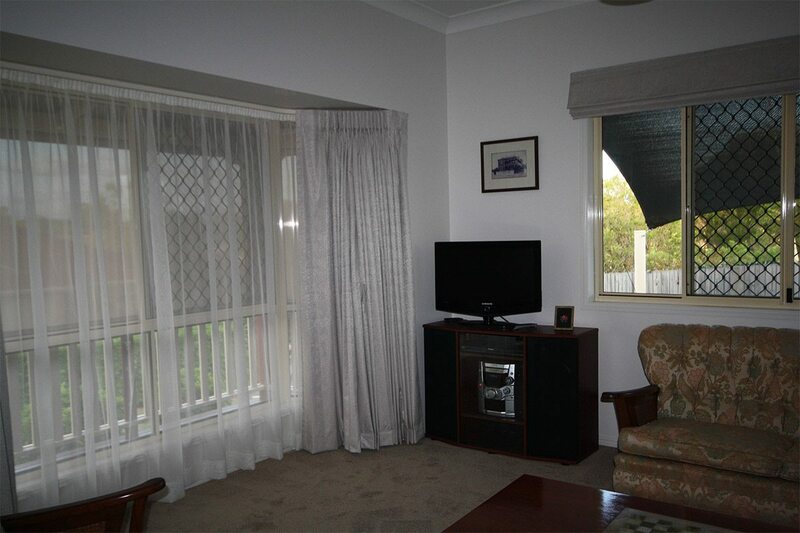 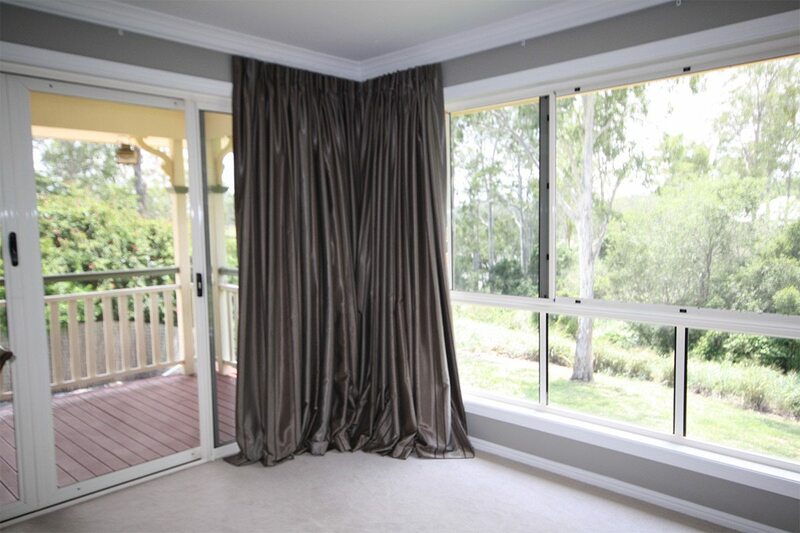 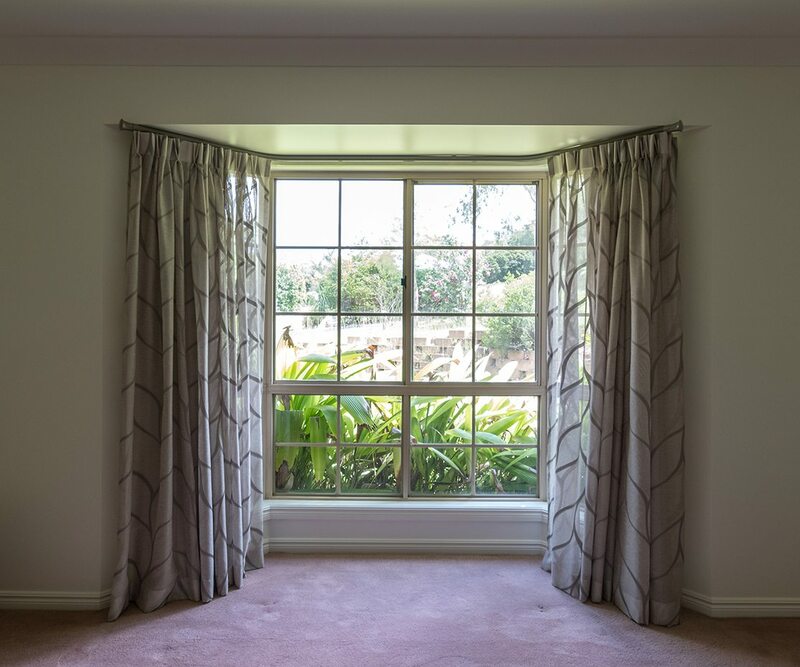 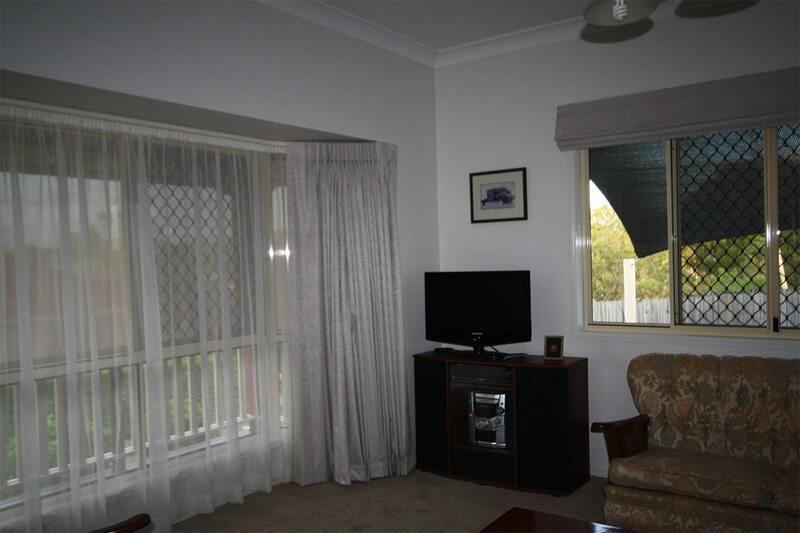 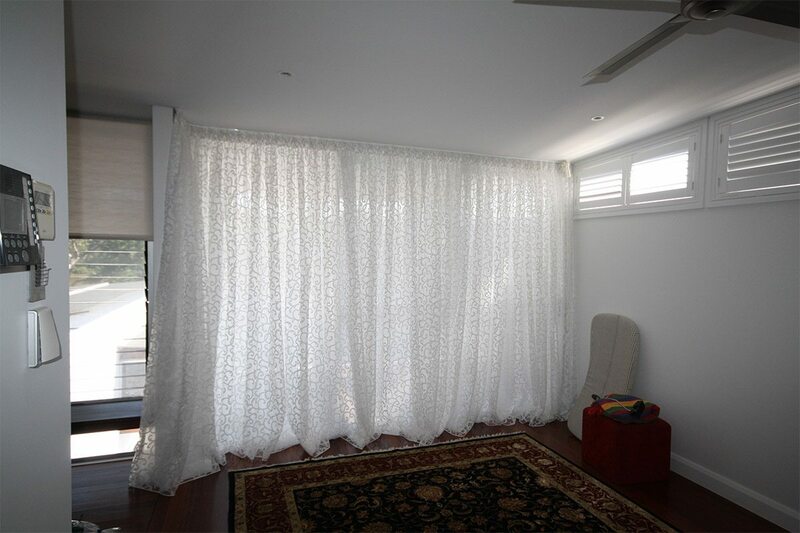 Bay window with double pinch pleat sheer curtains with a block out lining behind. 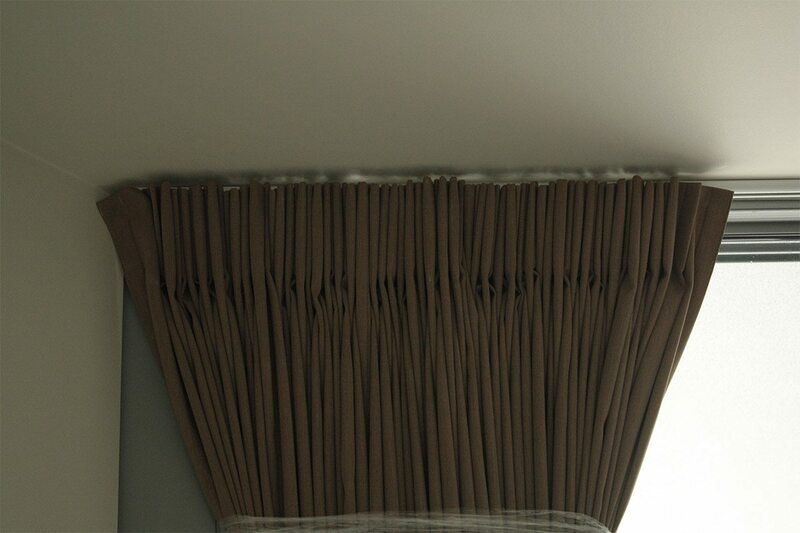 Bay window with a straight upholstered pelmet and a contrast band. 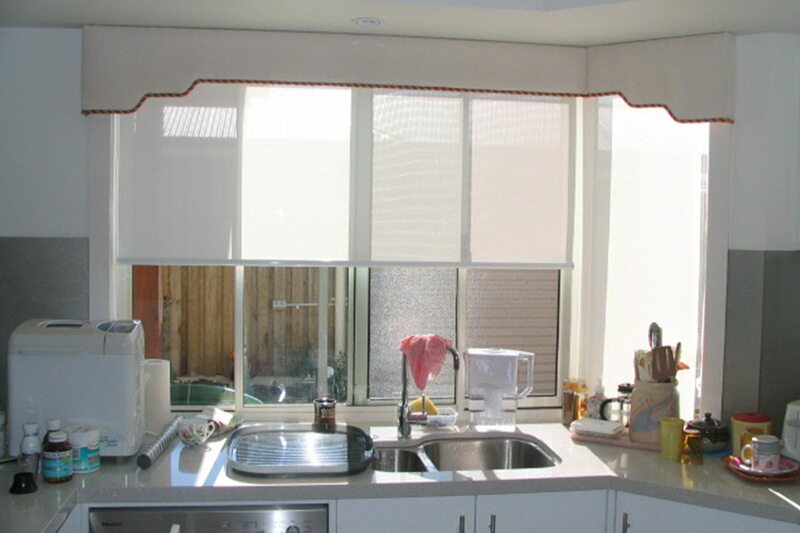 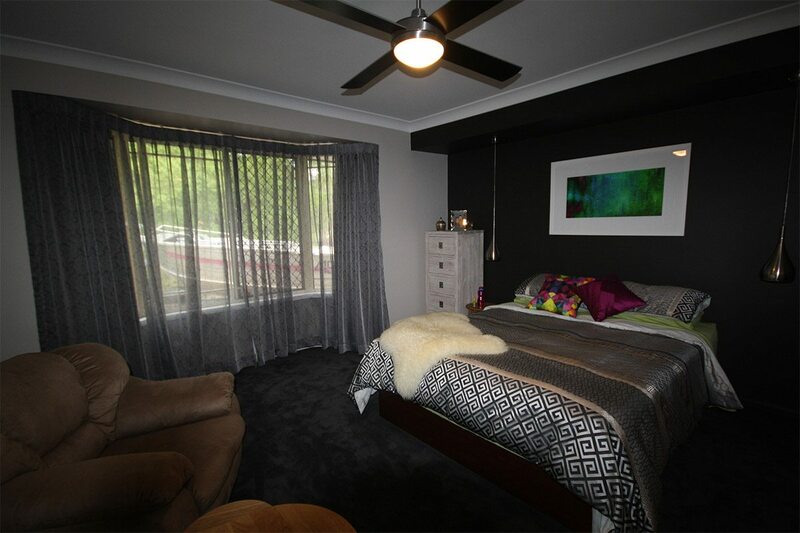 There are three roller blinds to match. 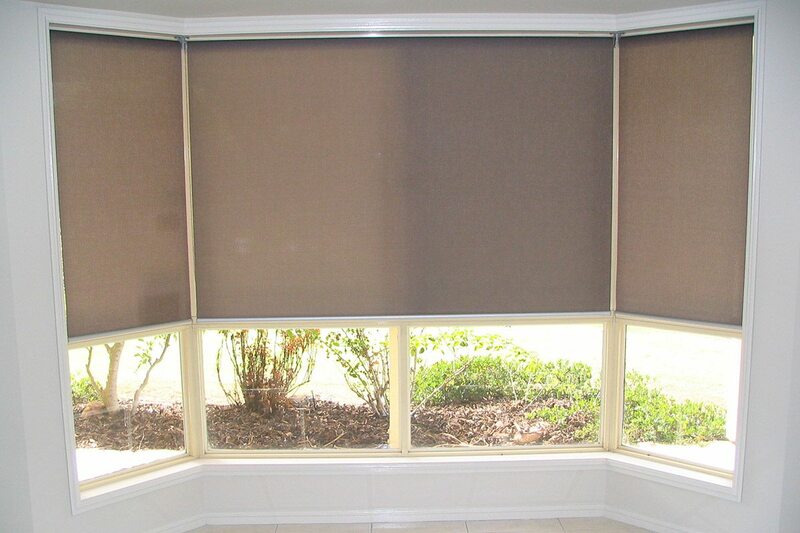 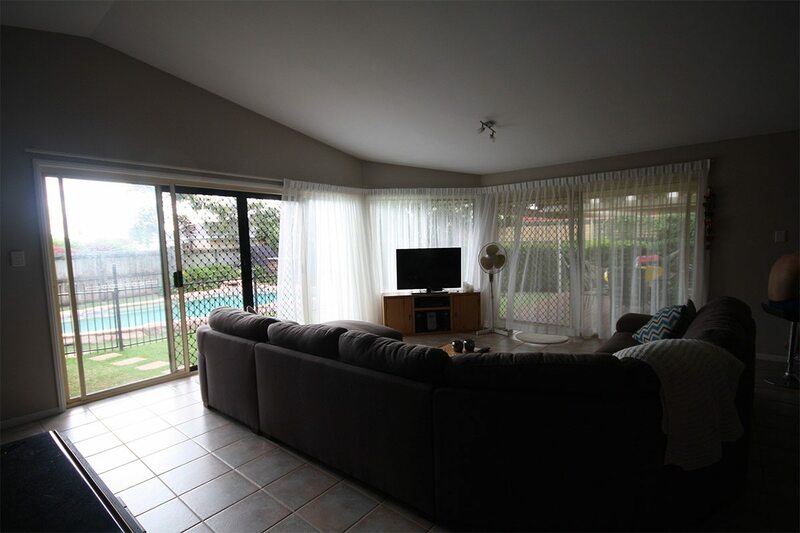 Bay window with double roller blinds, sun control on the back with block out on the front. 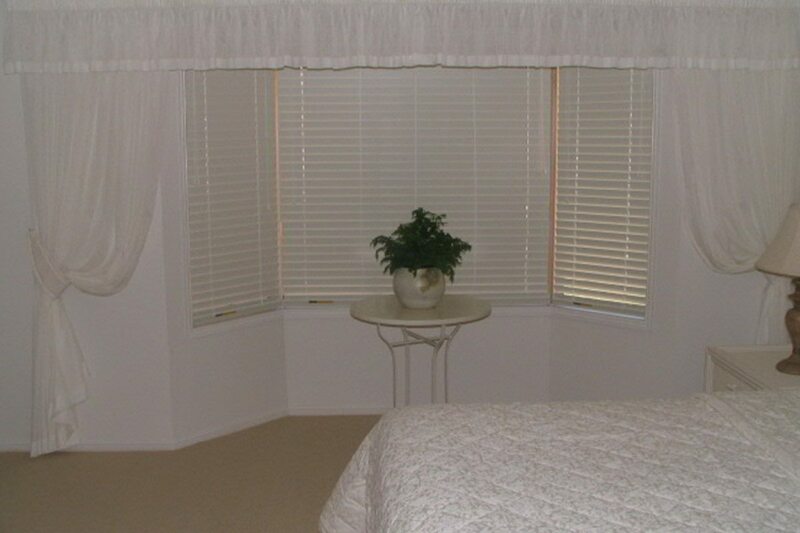 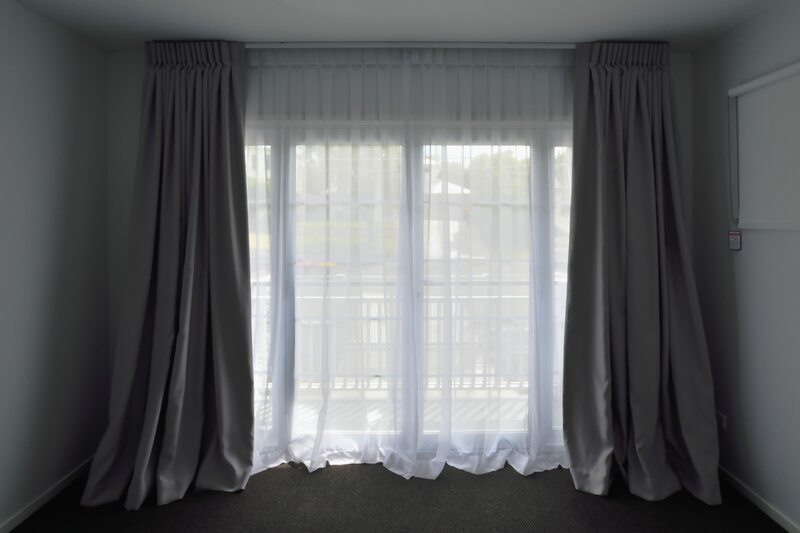 Bay window with 50mm white venetians, there is a pencil pleat valance with fixed side drapes. 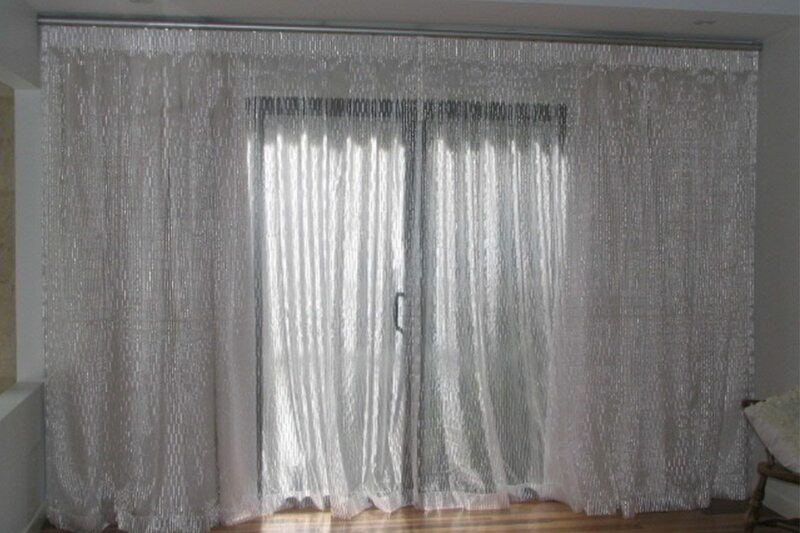 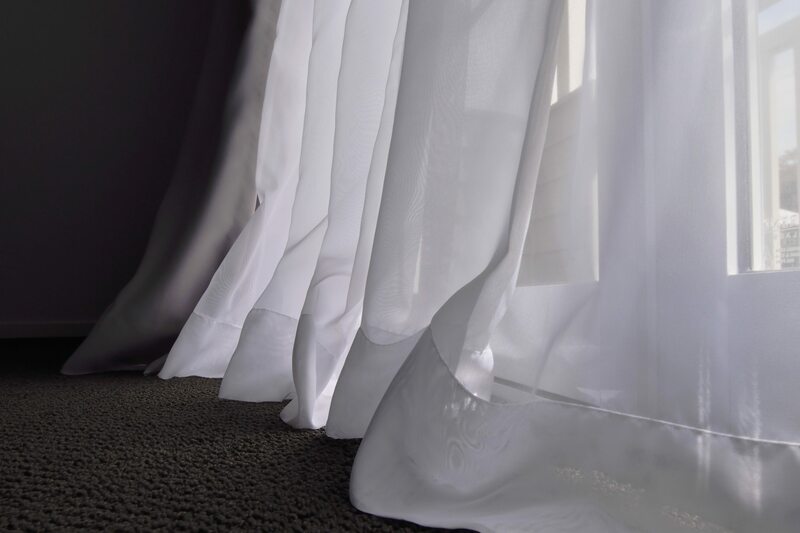 Bay window with inverted pleat sheer organza with a block out lining behind. 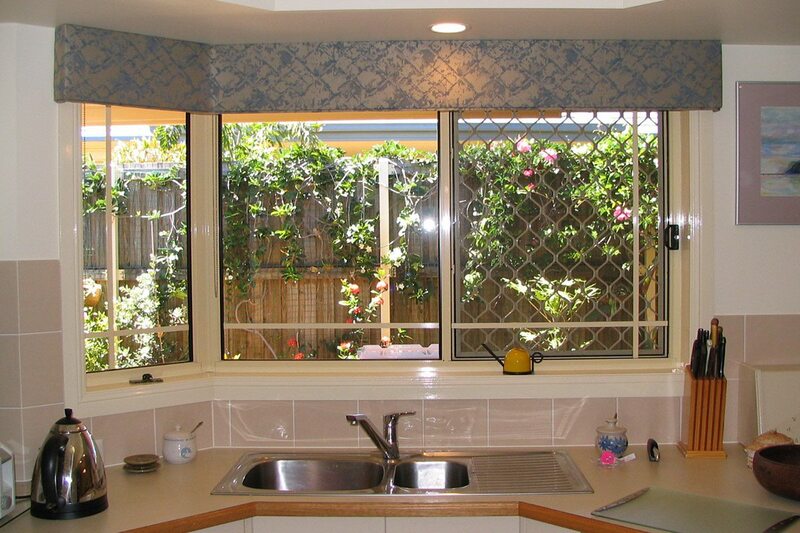 Roller blind brackets in a bay window.